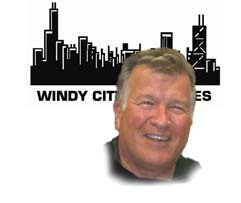 Windy City Corvettes (WCC) is a member of the Midwest Region of the National Council of Corvette Clubs (NCCC). The purpose of WCC is to enjoy the car that has brought us together. WCC participates in car shows, rallyes, speed events, caravans, parades and many other fun and social events. WCC is a proud sponsor of the Illinois Spina Bifida Association. 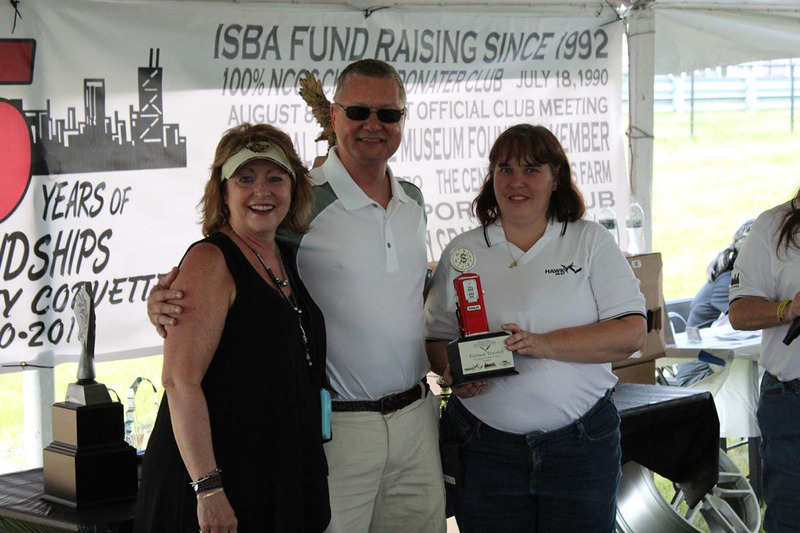 The club has made donations in the top two category amounts in 17 of the 18 years that we have supported ISBA in the First Look for Charity Program. 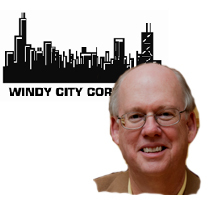 Often topping all donations made by major corporations in the Chicago Area. The club has been Grand Benefactors 11 times and Benefactors 6 times. 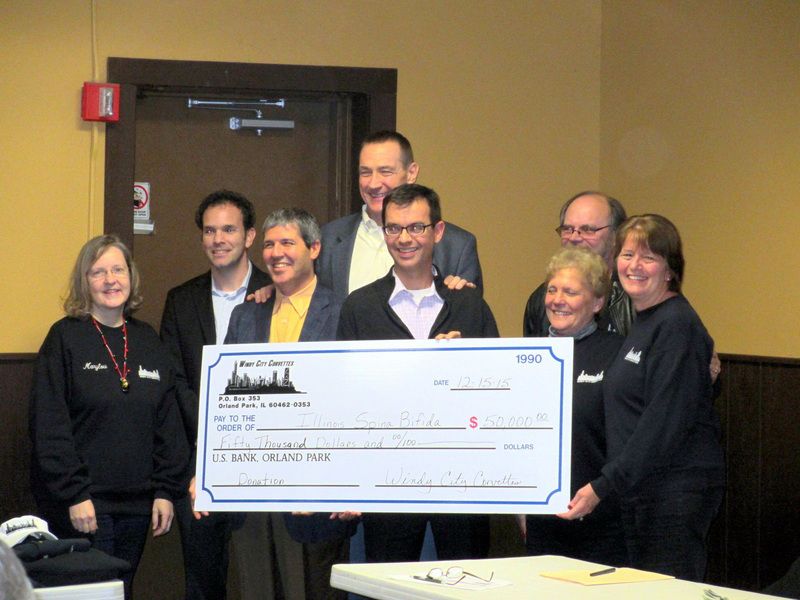 and John Adamski present the $50,000 check to the ISBA. Meetings are held at Mickadoon's Pizza (Orland Bowl) located at 8601 West 159th St. in Orland Park,IL. Board Meetings are held on the 2nd Tuesday of every month. General Membership Meetings are held the 3rd Tuesday of every month. The next General Membership Meeting will be . All corvette owners, family members and interested enthusiasts are invited to attend the General Membership Meeting and any of Windy City Corvette's events. FCOA (FUTURE CORVETTE OWNERS ASSN.) is the youth organization of NCCC. It's a unique "Corvette Club for kids" formed to interest the younger generation in the Corvette hobby. This is the generation that is the Corvette enthusiast of the 21st century! FCOA members are the foundation of NCCC's future and hopefully FCOA members will go on to be active NCCC members when they turn 16. 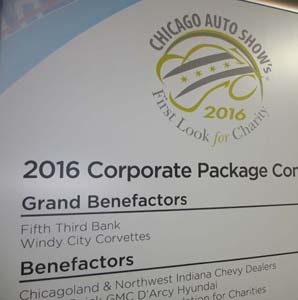 Windy City Corvette Members have sponsored 183 current FCOA Members and have been the continual Top Club Sponsor since 2000. Since 1991, we have enrolled 355 FCOA members. 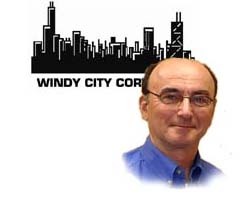 To join Windy City Corvettes, contact Dennis and Sherry Yoder at (630) 297-5553 or (630) 297-5554 or click HERE for more Membership information. In addition to meeting great people that share your love for the Corvette, there are many other benefits to joining WCC and the NCCC. In memory of Gary Wood, club Webmaster, 1999 to 2016. Gary always with a smile, made the people he met feel special. We will all miss him. Gary Lee Wood, age 63 of Canton, GA. passed away on Sunday, April 24, 2016 at Northside Hospital Cherokee. A celebration of life ceremony was held on Friday, April 29, 2016 at Adairsville Sporting Range, N.W. 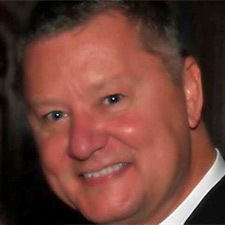 Adairsville, Ga.
Gary was survived by his wife, Donna Marie Wood of Canton, a son Chad Alan Wood of Canton, two daughters, Jacqueline Marie (BNiel) Brogan of Lockport, IL. and Lea Graham of San Francisco, Ca., two brothers, Doug Wood of Vandalia, MO and Mark Wood of Vandalia, MO. Six grandchildren also survive. 8 Aug 1990 - First official club meeting. NCCC was notified that a new club was forming. The initial board members were selected. 15 Aug 1990 - Club was incorporated under the laws of the state of Illinois. Original club mailing Address: 9222 W. 159th St., Suite 349, Orland Park, IL 60462. 25 Aug 1990 - First non-charter member, Gil Berman, joins the club. 12 Sep 1990 - First board meeting. 18 Sep 1990 - First general meeting, at Mickadoon's Pub. 27 Oct 1990 - First Windy City Corvettes event, Halloween Rally. Perry and Dawn Scarsellato, rallymasters. 31 Dec 1990 - Club finished first year NCCC point standings in 15th place.